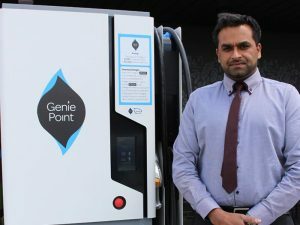 ChargePoint Services, which operates the GeniePoint rapid charger network, is enhancing its specialised EV project and contract management division with the appointment of Husnain Khan. Husnain Khan, project delivery manager, ChargePoint Services. Khan was previously at SSE Enterprise Contracting and worked on London’s EV infrastructure project, overseeing all aspects of major works and utilities through to commissioning and hand over. His new role as project delivery manager will enable the company to offer a full suite of project management services.